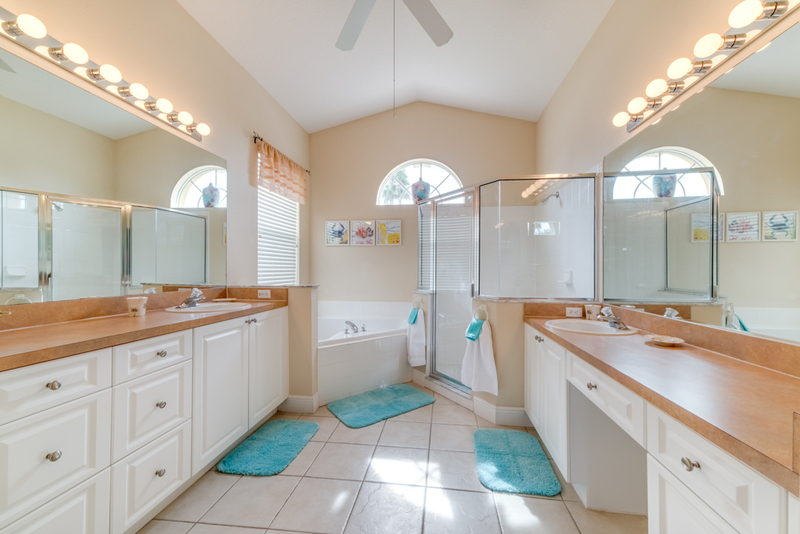 5 bedroom, 3.5 bathroom villa in the Tuscan Ridge community. Owned by Sandra Saville. Ref: 3055. For privacy reasons, the marker on the map shows the Tuscan Ridge community location and not actual villa location. 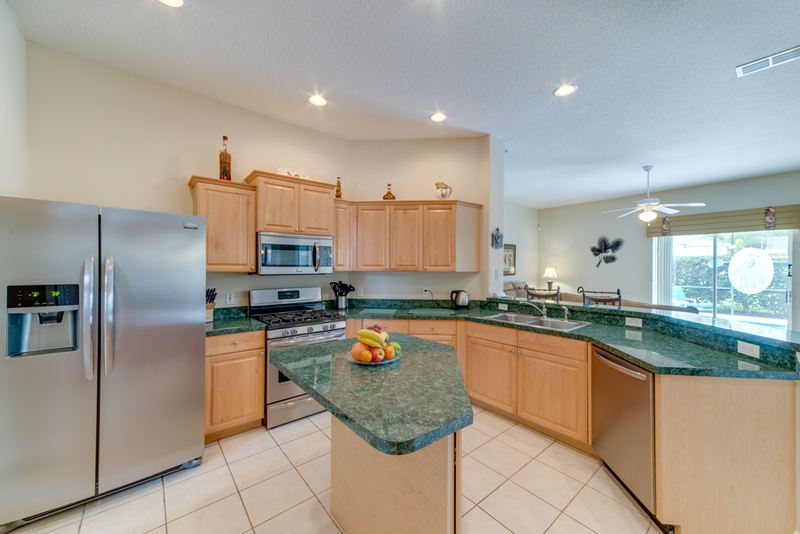 Fully equipped kitchen with breakfast area and separate dining nook area. 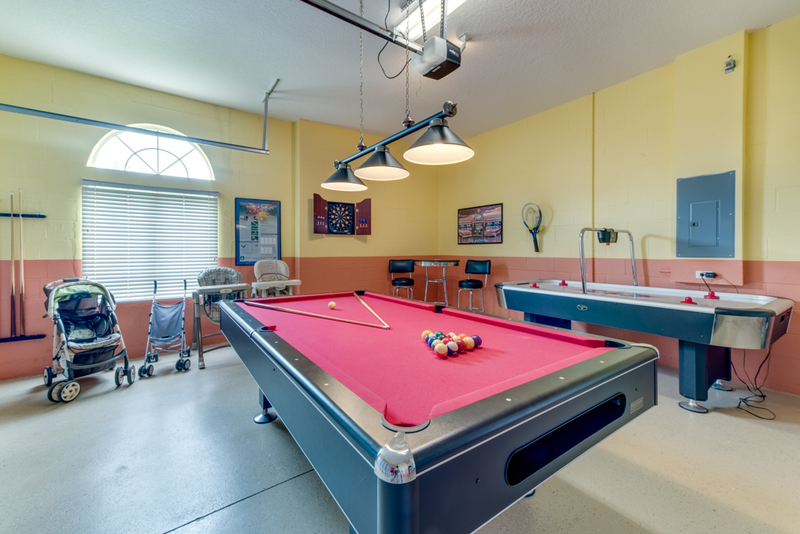 Games Room featuring 8ft slate bed pool table, air hockey and electronic darts along with genuine arcade machine featuring 81 different games. 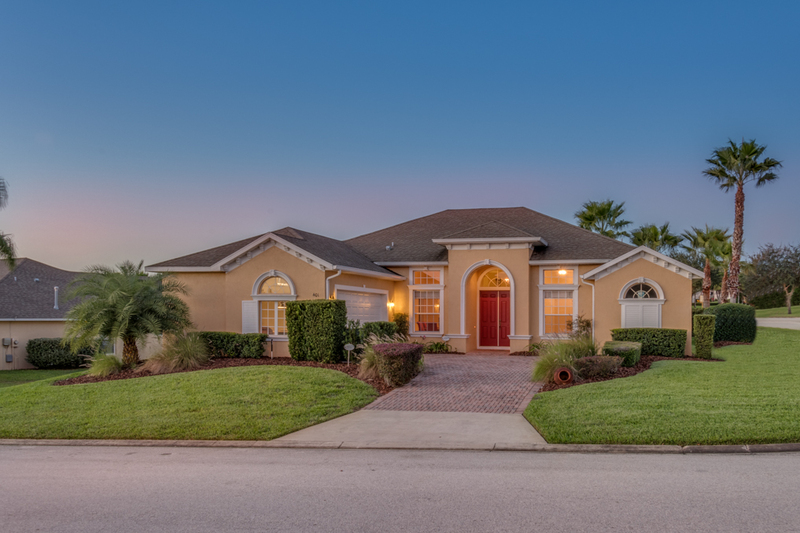 This luxury 5 bedroom, 3.5 bathroom villa is situated on Tuscan Ridge located on Highway 27 only minutes away from Interstate 4 providing you access to all the main travelling routes in Central Florida including Disney which is 12 minutes away. 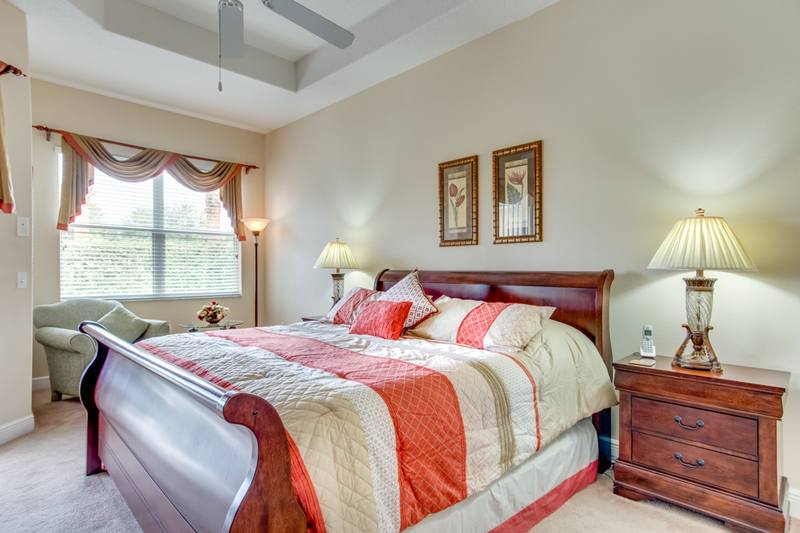 Five bedrooms including two King Master Suites, one King and two Twins. The first master contains a king sized bed, seating area and has a luxury en-suite bathroom complete with large bath and shower. 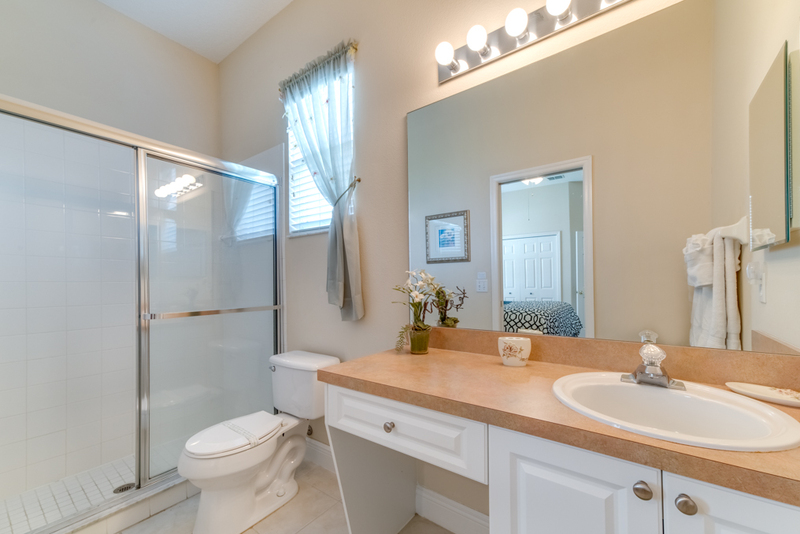 The second has a king sized bed and en-suite bathroom containing large walk-in shower. 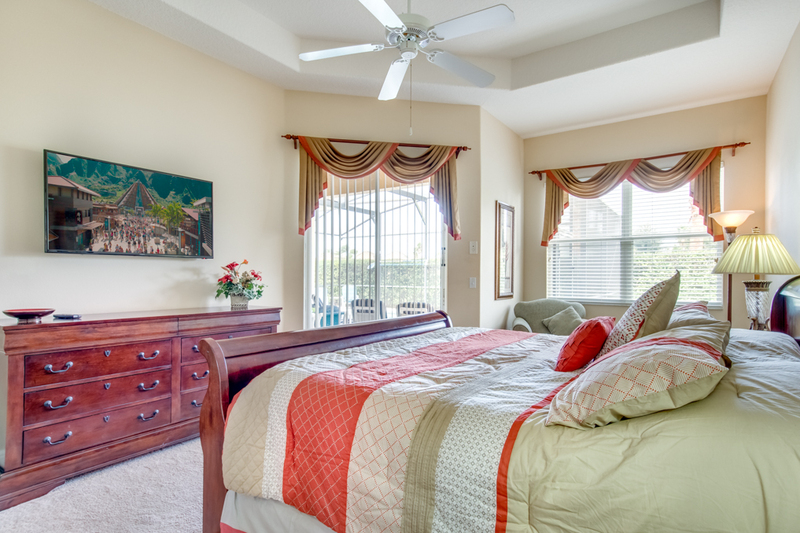 The master suite has the added luxury of a large walk in closet and the second master has a large built in closet and drawers. Bedroom three features the third King bed. The fourth and fifth bedrooms have both been themed and contain twin single beds one of which shares an en-suite bathroom with Bedroom three. All three have a large built in closet and drawers. The large modern fully fitted kitchen comes complete with all the appliances with adjoining fully equipped laundry room. 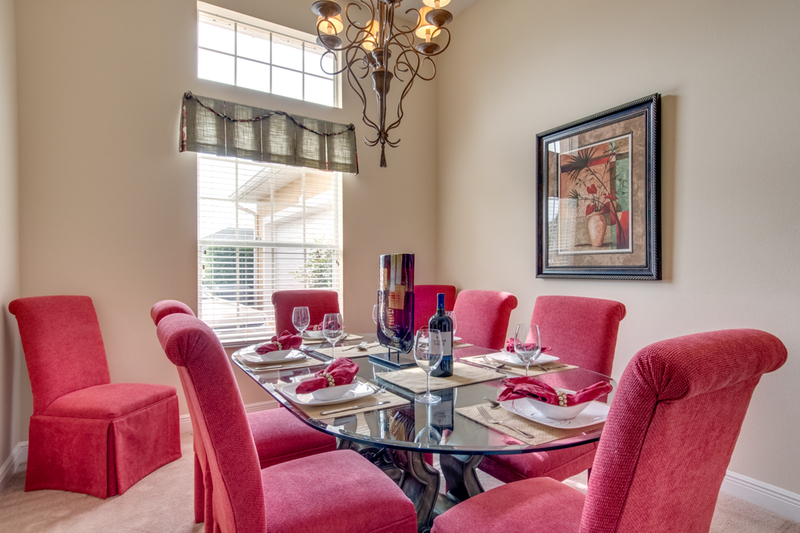 Adjacent to the kitchen is a nook area which is ideal for informal dining. 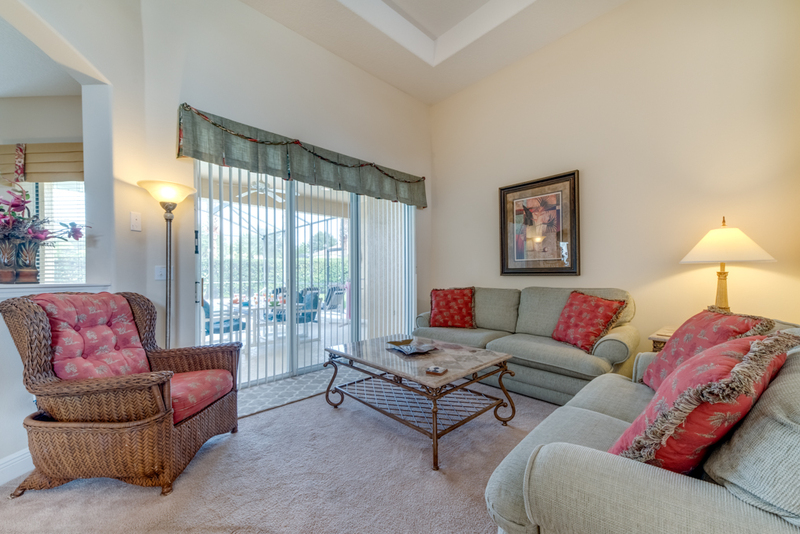 A large great room, living room and formal dining room make this extremely spacious home ideal for up to twelve guests. 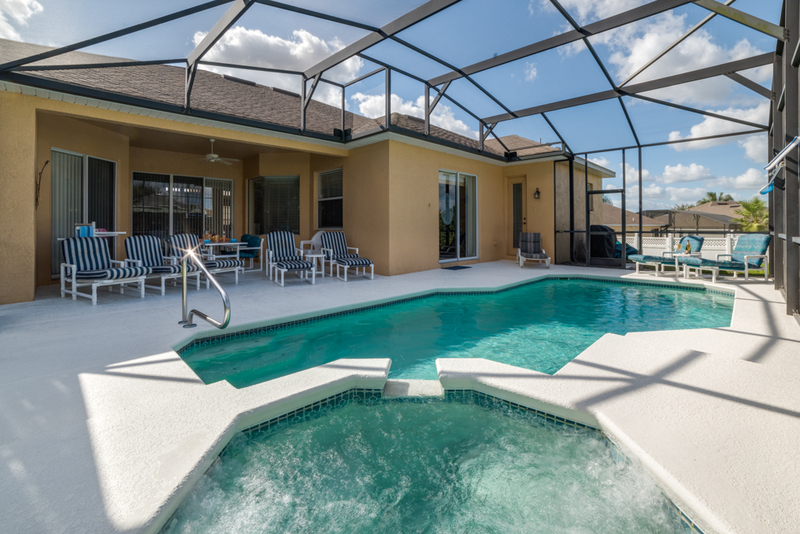 Outside, the 26' x 13' pool and spa are surrounded by a large extended deck, which includes a covered lanai should you prefer to sit in the shade. This is all fully screened, helping to keep the pool clean. It is not overlooked and the surrounding area has been fully landscaped. There is also access to a 0.5 bathroom. including 6 Flat Screen T.V. 's, V.C.R., D.V.D. Player, i-pod docking station, hairdryers, telephone, security safe, air conditioning, ceiling fans, washer, dryer etc. The kitchen features a gas cooker, microwave, waste disposal, fridge/freezer/icemaker. There is an abundant supply of china, glasses, cutlery and cooking utensils. Towels and bed linen are provided as are two free cribs, highchairs and strollers. To help you stay in touch all Local, Long Distance and International Phone Calls are FREE. Wireless high speed internet access is available, via your own personal laptop, should you wish to access the internet or e-mail family and friends. 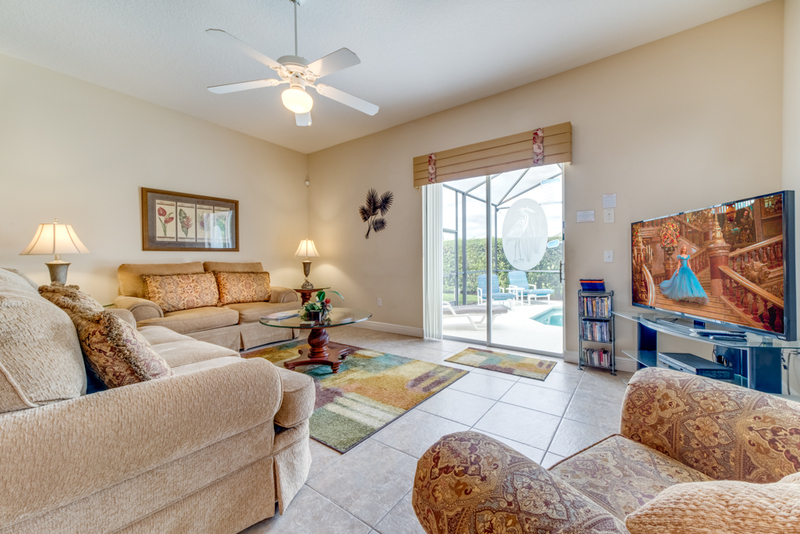 Access to the pool deck is from the great room, living room and master bedroom and is furnished with table, padded chairs and loungers. A Large Gas BBQ/Grill is provided for al fresco dining. 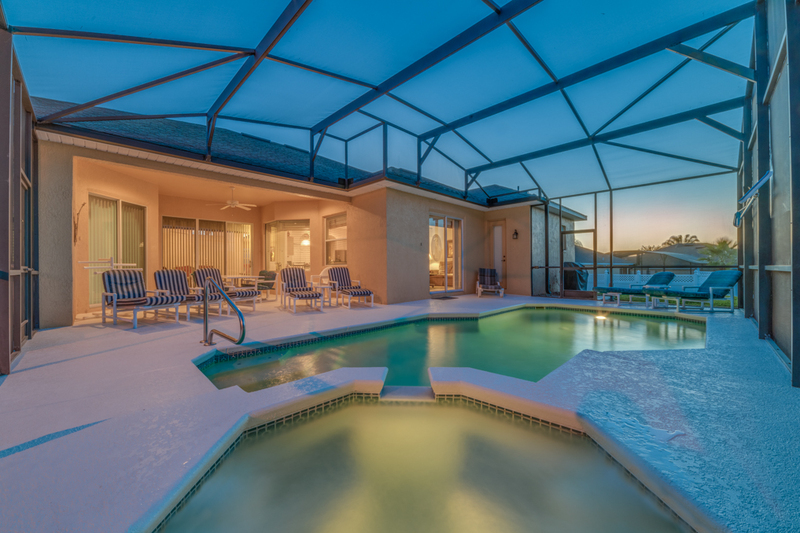 The pool can also be heated for the cooler months. 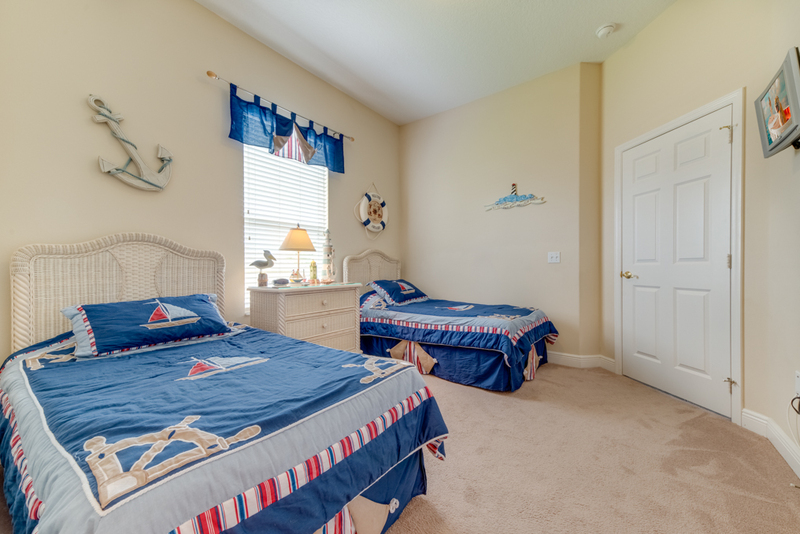 Disney World, Celebration and the world renowed International Drive with it's numerous attractions are all within a 20 minutes drive. Many other facilities including a whole host of shops, diners, bars, restaurants, bank and hypermarket are all within minutes of our front door. There are over 20 golf courses to be found within a 20 mile radius and the Greg Norman designed Champions Gate Golf Course, which is the home of David Leadbetters Golfing Academy, is located only 5 minutes drive away. Many thanks for the security deposit which we received yesterday. Your villa is amazing. 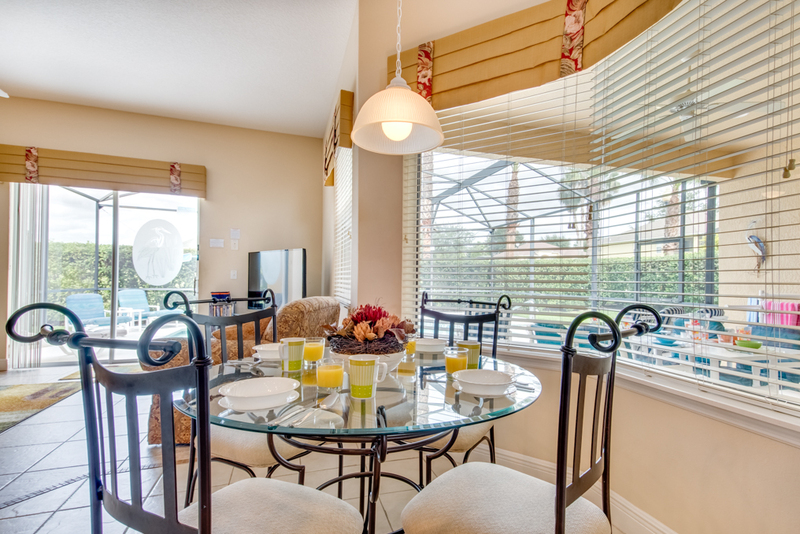 It has everything any family or group would need to help their stay in Orlando to be an amazing experience. Can you advise availability in March next year please. We left your lovely villa on Saturday and got home on Sunday. 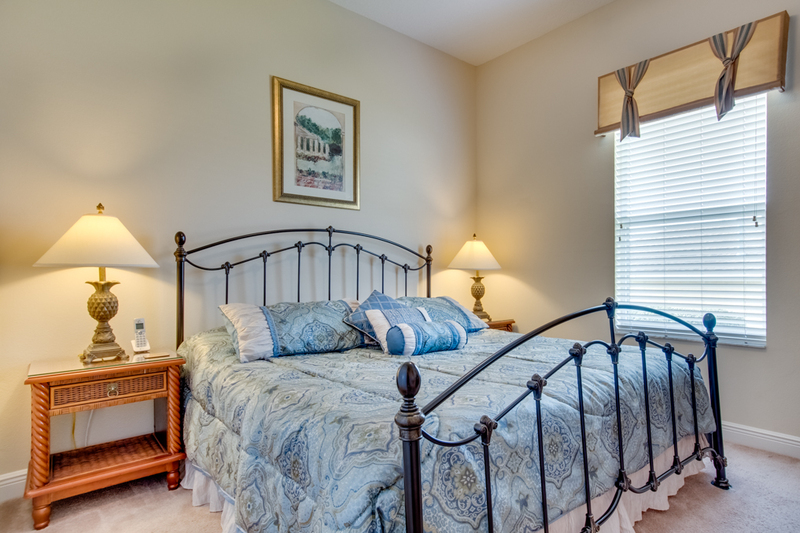 We had a wonderful time and your home was beautiful and extremely well kept, clean and tidy. We would happily recommend you and your home to everyone. It was truly wonderful. Thank you so much for sharing. 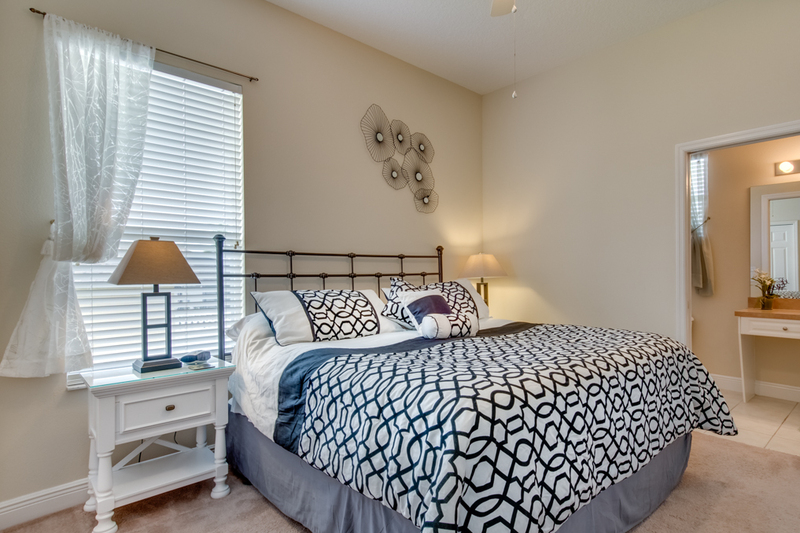 Your home in Orlando is amazing, it really made the holiday. We would be more than happy to recommend the villa to others. We arrived in good time and the villa is gorgeous and immaculate. Just wanted to let you know and say thank you. The whole family had a wonderful time, your villa is outstanding!! When we return in a few years time I will most certainly book it again. So, once again, thanks for a wonderful base. Just to let you know that we are having a great time and how wonderful your house is. Definitely the best one we have ever stayed in. Sorry I haven't had a chance to drop you a note since our return. I just received the security deposit return which reminded me that I needed to email. Thank you so much for renting us your beautiful home. It was so perfect and everyone enjoyed it. 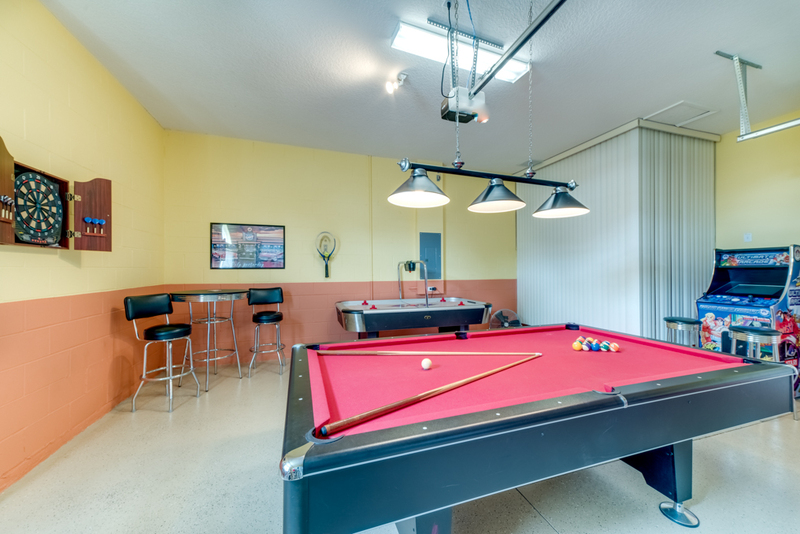 The pool and games room kept everyone busy when we were "home" and it was great to have Wi-Fi. I will definitely recommend your place to any of our friends and colleagues heading to Orlando. We're all back home now, unfortunately. Just a quick note to thank you for the use of the villa, we all enjoyed it and it was really homely and within easy reach of everything. Next year will be our 10th year in a row at Orlando and as soon as we have some dates I'll be in touch to see if the villa is available. We have, sadly, now returned home from our 2 week stay at your villa. I wanted to email you to thank you as we have had a fantastic holiday. The villa was beautiful. 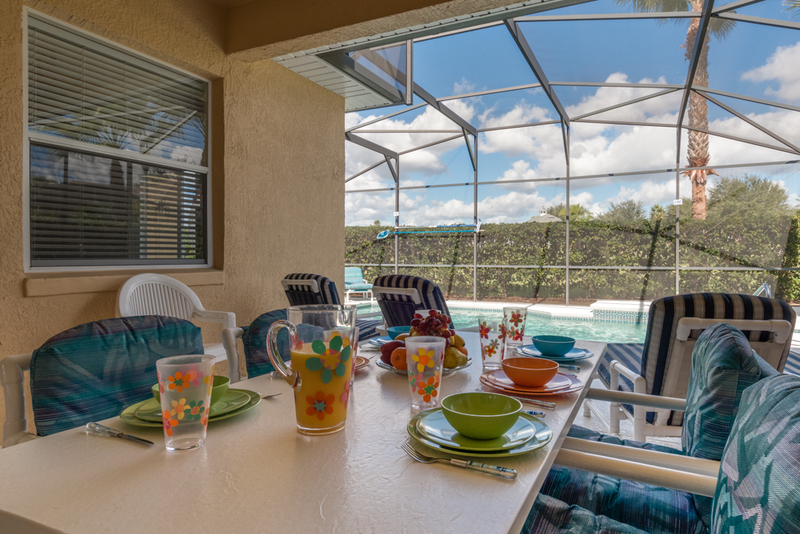 Everything was pretty perfect-location-excellent, great pool and outside area, fantastic inside with everything we needed. I would gladly recommend you to anybody that asks. Returned from our Orlando vacation with our grandchildren two weeks ago. Trip was close to perfect. The premises were exactly as described and pictured. Everything was just right in the house. Kids enjoyed the heated pool and the game room. Appreciate the prompt refund of security deposit. 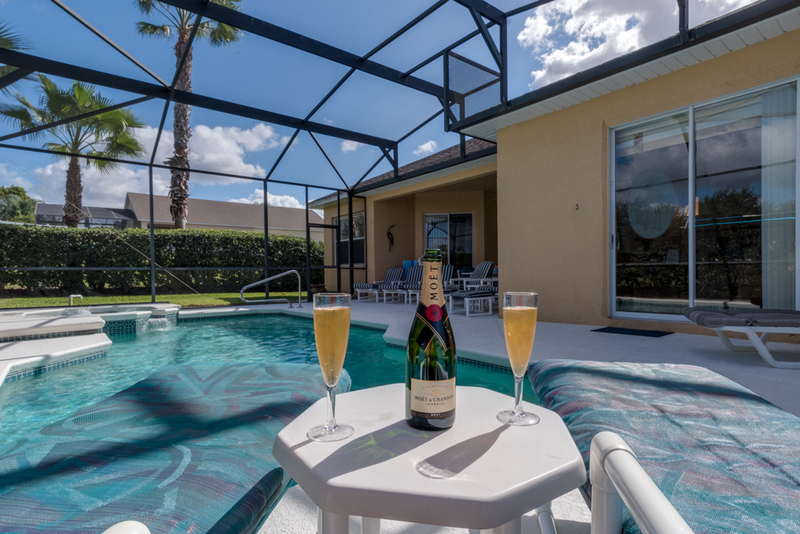 Would definitely recommend this rental to anyone who wants a large, comfortable, well appointed vacation villa for their Orlando vacation. Your enquiry will be sent to villa ref 3055 only. This page has been viewed 37607 times since 02 Jan 2006.